A firm favourite with some of the HXCC Fraternity is back for 2019 and the good news is … we`re getting both sets of films over 2 nights . The format is very simple – The Banff Mountain film festival tours the UK showing several short films each night, highlighting some of the most stunning scenery, bravery ,dedication and down right craziness in a variety of disciplines . 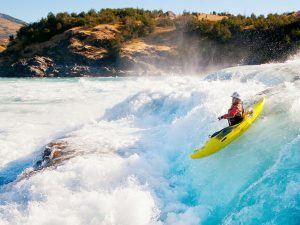 The good news being that both sets of films in 2019 are screening a kayaking film !! You`ll need to book a ticket – approx cost £13.50 but student, pensioner, unemployed etc discounts are available via the web sales site . It always sells out so booking is essential www.banff-uk.com . The Picture house bar is always open throughout the evening , there i s always a fantastic raffle with awesome prizes ( just ask Cliff speight – he won!) and in previous years Cotswold have had a stall and the CVSRT are usually there too .